Benedetto Scalia in Sciacca Italy founded Scalia, on the Mediterranean coast in 1973. 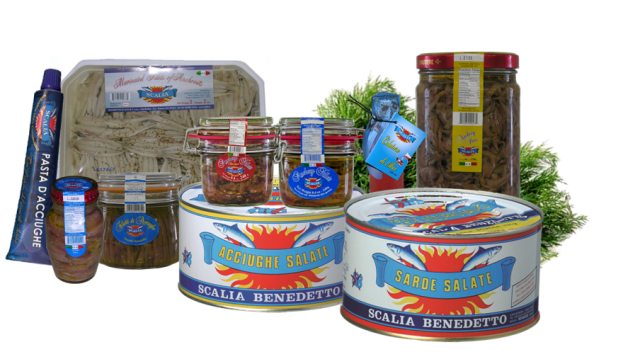 Anchovies and sardines are the main products of Scalia. The local fishing fleet provides the fish. The top priority of the company is their Guarantee of Quality. It is possible to discover the ancient Mediterranean tastes because the modern-day method of production closely parallels that of ancient tradition. All phases of workmanship, with exclusion of the drying and wrapping process, are precisely executed by the local women of Sciacca using specific handcrafting techniques. Additionally, the blue fish are immediately prepared upon arrival in order to retain its freshness and precious qualities.